Choosing the right wheelchair can be a difficult task due to the variety of options available to an individual with disabilities. The hardest part in this search is matching a wheelchair with the particular needs of the user. This page was created to provide prospective wheelchair users with general information, tips, and advice on selecting a manual wheelchair in today’s online marketplace. It will also bring to light some of the materials, options, and accessories an individual might find in their search. First time wheelchair users should consult with a physical therapist to go over their basic needs as well as going over the basic requirements and expectations that their new wheelchair will provide. Manual wheelchairs where created to give the user the ability to propelled themselves without the help or need of another. Their design allows the user to grasp the outer rims of each wheel (aka pushrims) on either side of the wheelchair and utilize them for steering and propulsion. Two small wheels in the front (castors) and push handles (in the back) are also often added to allow non-occupants to propel the chair if necessary. Most of today’s modern manual wheelchairs are available in a variety of lightweight materials that reduce the overall weight of the chair, making them easily carried or transported. Dimensions, weight, and turning radius should also be factors in your buying decision. The frame of a standard wheelchair is characterized by either a cross-brace folding frame or a permanent rigid frame design. The frame on a folding or collapsible wheelchair offers an unlockable cross-brace design that allows for easy transport and portability. Folding wheelchairs will also often have other removable features including: footrests, armrest, and other accessories. Since the frame can fold and since it offers a variety of unlockable, moving pieces it will typically wear down faster over time. Folding wheelchairs also require more maintenance and are a bit heavier than a rigid framed wheelchair. Rigid wheelchair frames have gained in popularity and have become the the everyday choice for many individuals with disabilities due to their light weight, maneuverability, and performance. Since they have no moving parts besides the wheels, rigid framed chairs require less maintenance, weigh less, and are more durable. The greatest advantage to the rigid frame is they are made to fit people and not a specific function. Their main disadvantage are often considered price and transportability since the wheels must be removed for storage. The frame of a wheelchair can be manufactured using a variety of materials, the most economical being steel. Steel was the choice for the original wheelchair. It is durable metal but it’s also heavy, making transportation more of a challenge. Today’s steel framed wheelchairs are typically alloys, steel mixed with chrome & nickel. Most modern wheelchairs use lighter materials that were originally designed for performance racing and other wheelchair sports. These designs have gained so much in popularity that they are now designed for everyday use by anyone. Materials such as aluminum, titanium, and carbon fiber are all now being used on light weight and ultra-lightweight wheelchairs. According to some users, “the performance of a wheelchair is largely related to the type of wheels and tires that it has been equipped with”. Different types of tires offer different maneuverability, speed, and comfort. Most manual wheelchairs are equipped with tires that are either: pneumatic, semi-pneumatic, or solid rubber. Pneumatic tires are rubber tires with an inner tube filled with air. The air inside along with the tread on the tires, give the user a smooth, cushioned, and effortless ride. The major drawbacks to pneumatics is the maintenance involved and the potential for them to lose air or deflate completely. Semi-pneumatic tires offers a foam insert that replaces the inner tube of a pneumatic. The foam insert has either a solid middle layer or is filled with air or gel. In either case, it will provide a solid cushion of support throughout your ride. These tires are advertised as flat free and are virtually maintenance free. Solid rubber wheelchair tires are the least comfortable but require the least amount of maintenance. Since they are solid pieces of rubber there isn’t much in terms of softening the terrain. The spokes of your wheelchair are affixed to the wheels and act as a suspension system that also keeps the shape of the wheel. They are manufactured using lighter materials like wire or plastic. The casters are the smaller wheels that are affixed to the front of the wheelchair. They can be either solid rubber or pneumatic as well. Talk with a therapeutic Recreation Specialist. They can give you ideas about special chair features for recreational and leisure. Ask your Physical/ Occupational Therapist for suggestions on the type of chair or features that can help to make it easier to do your daily activities at home or at work. Talk with individuals who use or have purchased wheelchairs in the past. Look at their chairs, see what features they have. Ask them what they like and dislike. Get as much information as you can. Call wheelchair suppliers to get information on the types, styles, features, and costs of their chairs. www.medicine.uiowa.edu – Choosing a wheelchair & wheelchair seating options. www.disabledliving.org.uk – Choosing a standard self propelled wheelchair. www.disabledliving.org.uk – Choosing an active user wheelchair. Sunrise Medical – Sunrise Medical is one of the world’s largest manufacturers of homecare and extended care products. Founded in 1983, the Sunrise Medical family of products has been built from many of the most popular brands in the homecare industry including Quickie, Sopur, Jay, DeVilbiss, Hoyer, Guardian, Coopers, Oxford and Joerns. Sunrise operates manufacturing facilities in the United States, Mexico, the United Kingdom, Germany, and Spain. See The Sunrise Medical Home Page. Everest & Jennings – Everest & Jennings, one of the first wheelchair manufacturers, is one of the world’s leading suppliers of homecare, rehabilitation, and long-term care products. Designed the first manual wheelchair in 1933. See The Everest & Jennings Home Page. There are also many smaller tier wheelchair manufacturers. A smaller manufacturer doesn’t have as much money or resources to get your attention. In most situations they are more willing to go the extra mile to make sure you are happy with their products, because they are both the manufacturer and retailer. A smaller manufacturer will try to fill niche markets rather than try to appeal to the masses like the larger companies. The one drawback to the smaller wheelchair manufacturer is that they may not have all the bells and whistles that may come with the R&D that the big companies have access to. Keep this in mind when choosing a manufacturer. Free Shipping, lightweight, standard, ultra lights, and transport wheelchairs. Chairs starting $129. They also carry a full line of accessories, arm rest bags, o2 holders, cup holders and much more. Shop a full selection of manual wheelchairs at SpinLife. Choose from Invacare, Quickie, Guardian and more. Prices start at $99 with a 110% low price guarantee. Choose from transport, standard, lightweight, or heavy-duty manual wheelchairs starting from $134.99! Wide variety from all top manufacturer including Invacare, Medline, and Drive Medical. Wheelchairs from $99 delivered to your door. Find any style and tons of acessories. 1-800-Wheelchair carries Invacare, Sunrise Medical, Drive and Medline available. Call or Order Online. Online Provider of Lightweight, Standard, Transport and Heavy Duty Wheelchairs for 60-70% off of store prices. Carry the top wheelchairs including Invacare, Drive and Guardian and all of their wheelchairs ship same day for free. 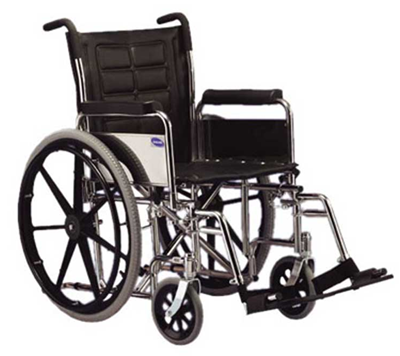 US Medical Supplies carries a large selection of manual wheelchairs. From transport, lightweight, pediatric, reclinging, tilt, heavy duty, and more. Checkout their website for special offers. 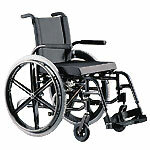 EasyMedOnline.com specializes in Manual Wheelchairs, including sporting wheelchairs, bariatric wheelchairs and many more. We provide service and in-home set-up all across United States. Contact us today to speak with an expert. Receive up to 40% discounts and 110% price guarantee.